Like all of Charles Dickens' work, A Christmas Carol contains multitudes: a giant cast of characters, each with their own quirky name, memorable tics and distinctive humanity. Veteran Bay Area actor Jeff Garrett now steps up to play them all in a tour-de-force one-man show, Scrooge: The Haunting of Ebenezer. Watch the beloved ghost story come alive as Garrett transforms himself into Bob Cratchit, Jacob Marley, Fezziwig, Tiny Tim, Scrooge and many, many others. No movie or TV special can summon the wit and fire of the original work quite like one man, alone on the stage, tackling every character himself. 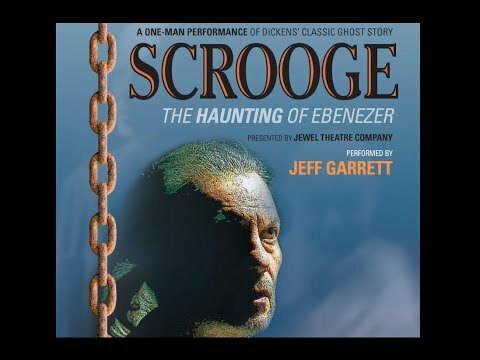 Glory in Dickens' language and delight in Garrett's audacious skill as a performer in this limited engagement of Scrooge: The Haunting of Ebenezer.